U.S. markets staged a mild recovery last week, but their advance wasn’t enough to change the market outlook. 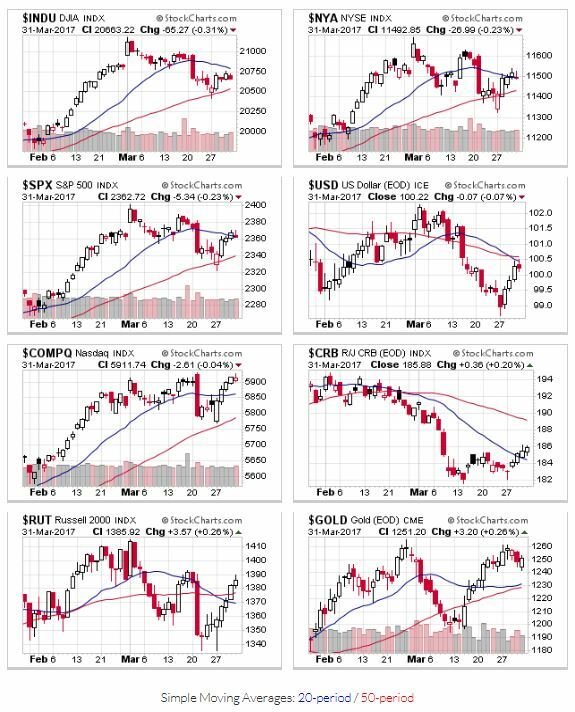 The indexes found support and bounced off their 50 day moving averages. The Nasdaq managed to recover its 20-day moving average, while the S&P500 and NYSE closed ~1 and 2 points below their respective 20 day moving averages. The moving average outlook remains mixed by the smallest of margins. Price and volume action muddled through last week; high volume selling remains elevated over the past month, reminding investors to err on the side of caution. OEW uptrend signal remains in place. With the uptrend recovery, the expectation is one more set of new highs before the next downtrend. That said, be on the lookout for market weakness; derailing a “recovery” doesn’t take much selling activity.